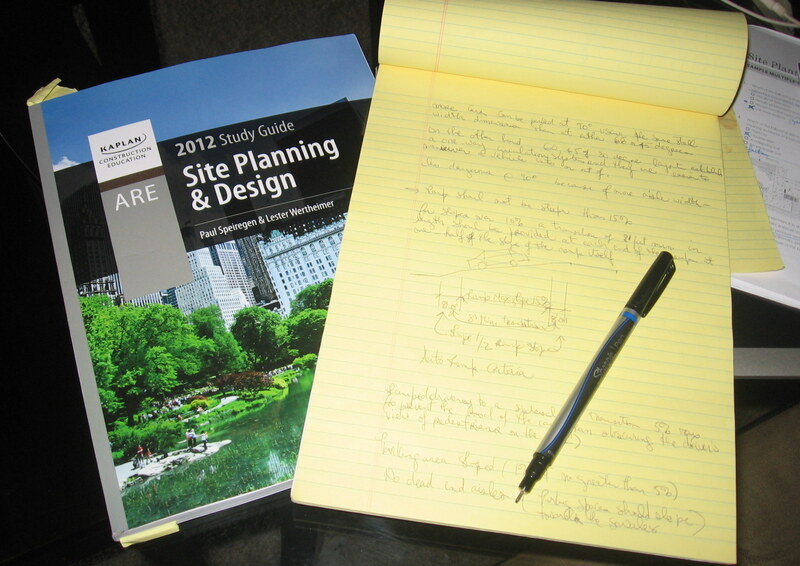 Studying for my “Site Planning and Design” test is harder than I thought it would be. In reality, it is not the material but it is me. There are so many things that I could be doing right this minute… What I need to do is to schedule the test. It’s been my experience that once you pay for it, you find the drive to study because you don’t want to lose your money. One more hour to go… So as they say, Andale!